DunRite Sports & Athletics carries a comprehensive line of baseball / softball equipment and baseball field equipment. As a sporting good equipment industry leader, DunRite sells only high quality state of the art baseball field equipment to fully equip any team, parks and recreation department or even backyard. All of our sporting goods products are geared toward durability and safety giving your team many years of fully functional service without the fear of injury to players or spectators. If you are looking for baseball-training equipment we have everything you need to keep skills sharp and players fit. There is a full line of softball equipment available to completely outfit your softball team. You will find the highest quality baseball and softball training equipment for teams and organizations looking to put together a quality program that produces winners. Bottom line is that DunRite has the equipment you need, whether it is baseball or softball, protective equipment, baseball field equipment or even baseball player benches we have the bases covered. Our line of baseball field equipment is extensive field covers, infield covers, permanent and portable backstops, base sets, home plate, pitchers rubber, batting cages, pitching machines, batting tees and more. We have a complete line of baseball field maintenance equipment including dirt tamps, drag mats and landscape rakes. Field line markers and paint striping machines, to clearly mark boundaries on your field. Let DunRite be your source for all things safety on the baseball field, we have a complete line of wall padding, fence padding and rail padding. Keeping players and spectators safer is a priority. Looking to give your pitcher some safety while on the mound in practice? 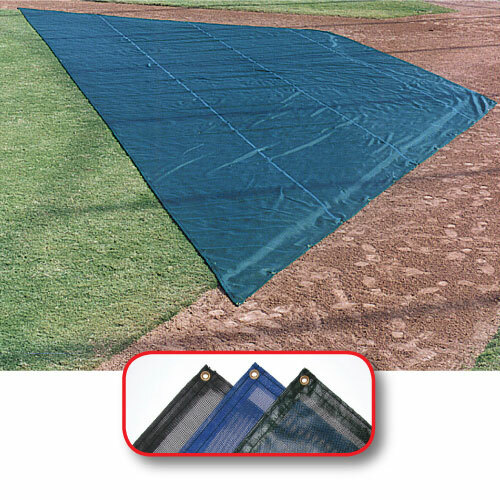 Our line of pitcher protectors is highly versatile and very strong made from galvanized steel and #42 netting. The innovative Softball Protector Screen is training equipment constructed out of a durable tubular steel metal and was developed with an optional wheel kit for easy transportation to and from practice. The middle netting portion of this safety protector is made out of a 2.5 mm net with a 4-foot high by 1.5-foot wide cutout. The safety protector screen itself is 7-feet high by 6-feet wide. Our other Softball Protector Screen features a sock-style screen that is extremely suitable for soft-toss throws and provides for simple returns. The tubular steel frame is of the highest grade and the size of the device maintains to be the same as the previously mentioned piece of softball training equipment. Look to DunRite for everything baseball, call to inquire about our line of baseball equipment and baseball field equipment and one of our customer service representatives will help you each step of the way. 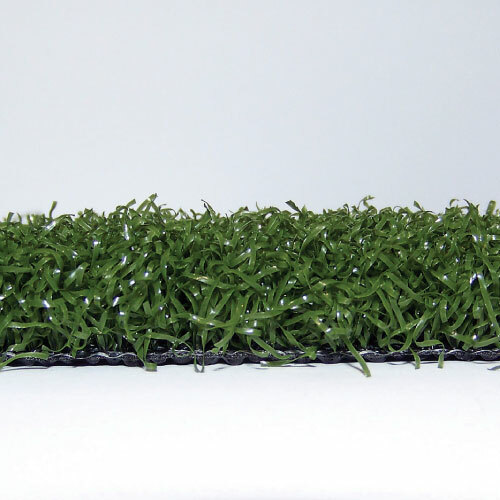 Official Size Economy BasesThese bases are perfect for recreational use!Features •15 in. X 15 in. ..
Major League Home Plate with 5 SpikesThis home plate would make a great addition to your baseball or..
Key BenefitsWarranty 0005 Year(s)Shipping NotesShipped by LTL (Freight) Carrier. Inside delivery, ..
Cork and rubber center Full grain leather cover Raised seams Key BenefitsWarranty 0001 Ye..
Level 5 Ages 8 - 12• Meets NOCSAE Standard• Leather cover with patented Tri-Flex Safety..
9 Inch Baseball size. Soft, durable yellow polyurethane Designed safe for aluminum bats.. Holds 12 Batting Helmets ! Mounts on any chain-link fence Rolls-up for easy carrying Durabl..
5 piece orange rubber throw down home plate, pitcher foot s plate and three base set. Ideal for both.. Constructed of 6 oz woven polyethylene material. 12 ml thick. Double-stitched on all four sides with..
Diamond Pump 50 foot Hose Attachment Pump puddles away at 18-20 gallons per minute with this amazin.. The base is made from rugged, bonded polyester padding that is tear-resistant and waterproof. The ba..
Stanchion mounted professional homeplate fits into standard Hollywood ground anchor, included. Weigh..
Dual pitch counter allows coaches to track TWO pitchers at once. Sleek design fits ergonomically in ..
New mini Rhino Kettle bells are perfect for beginners and training. Lighter and more compact with a.. The strongest hollow plastic bat on the market. Light in weight for all age groups. Bottle shape bar..
Additional Ground Sockets available for additional Enduro Poles or for multiple fence locations.Bran.. Practice Pitchers Screen with Stand.. Meets revised NOCSAE standards Sleek design with superior venting system One size fits mos..